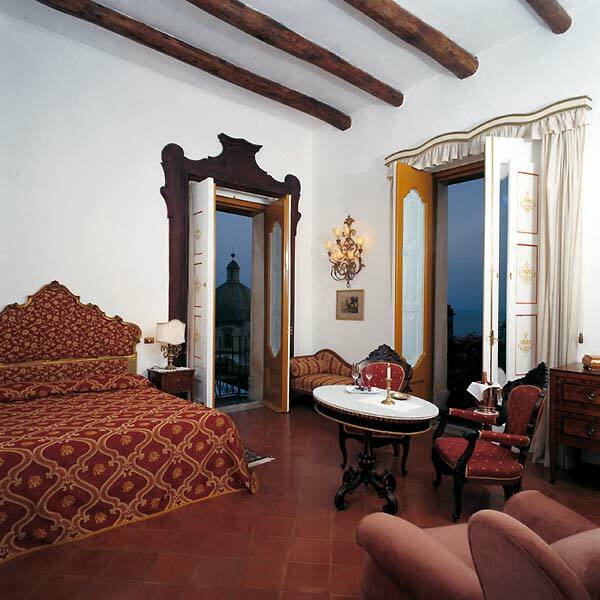 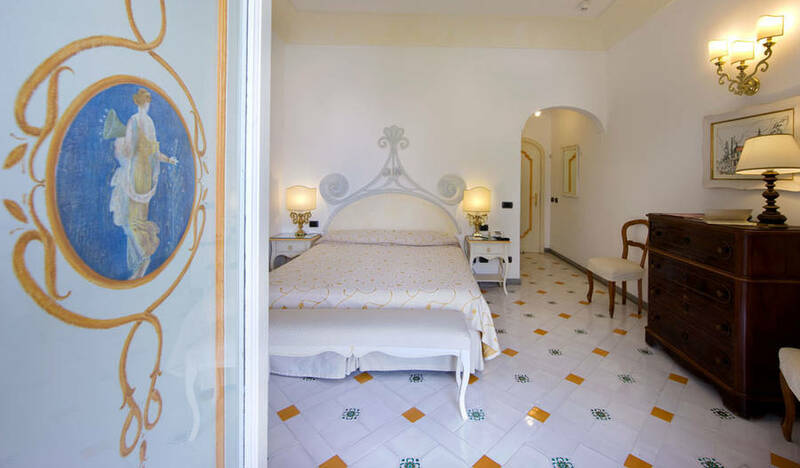 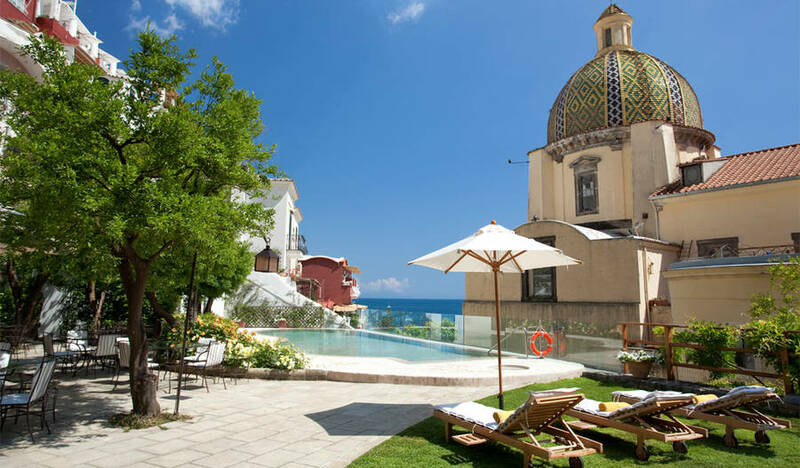 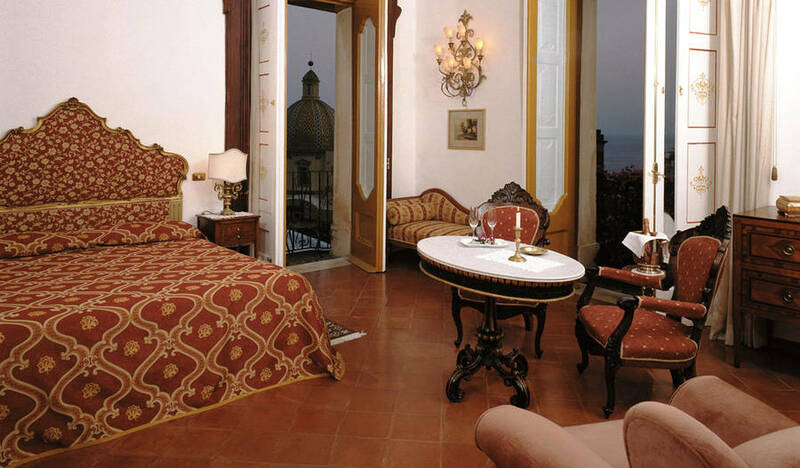 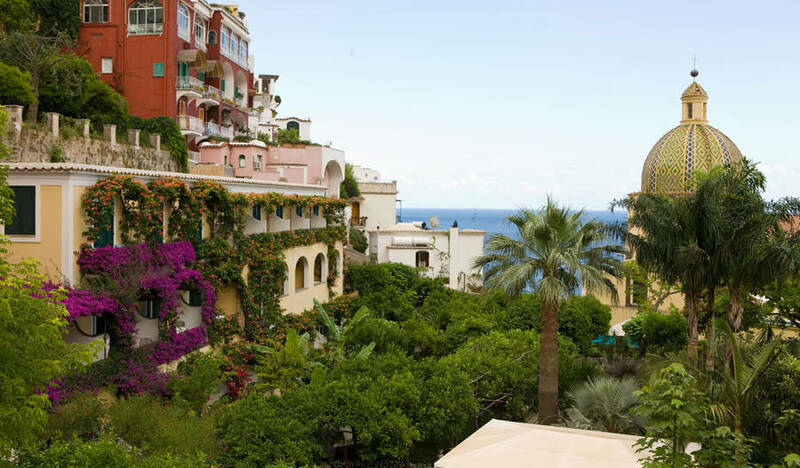 As you walk along the narrow lanes of Positano, you might easily remain oblivious to the existence of Palazzo Murat, one of the oldest hotels on the Amalfi Coast. 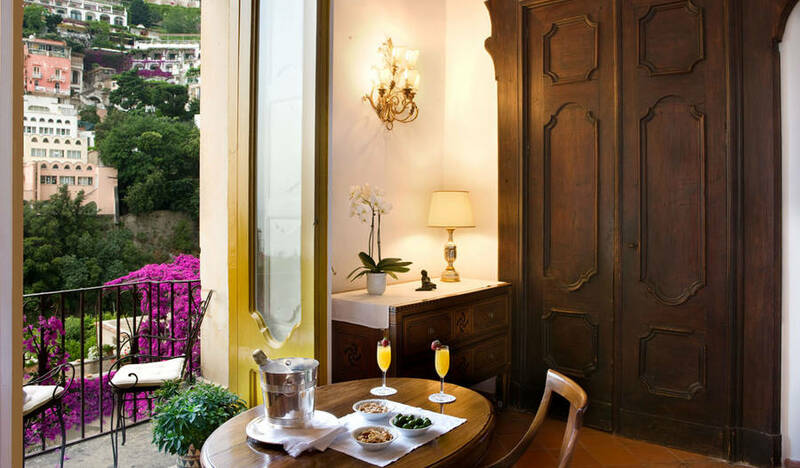 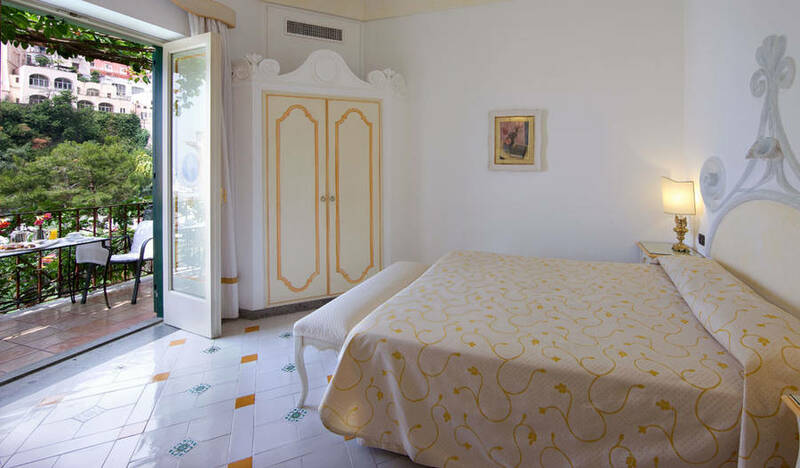 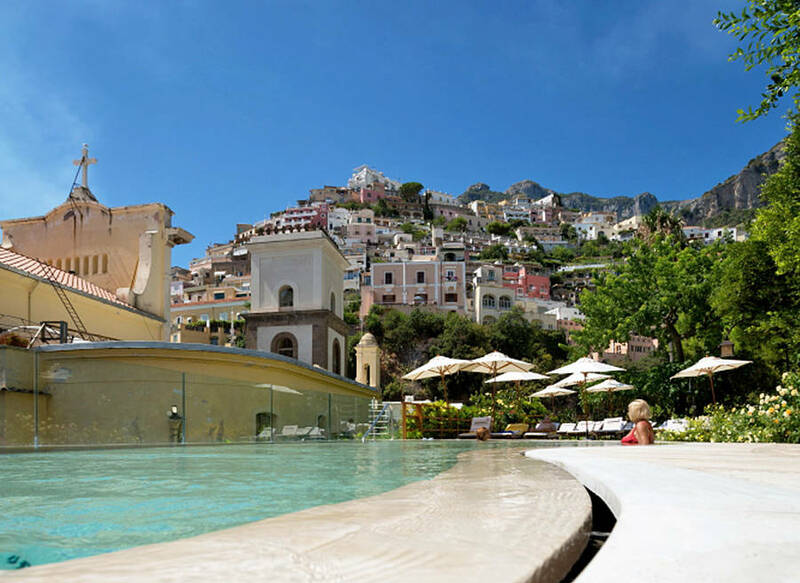 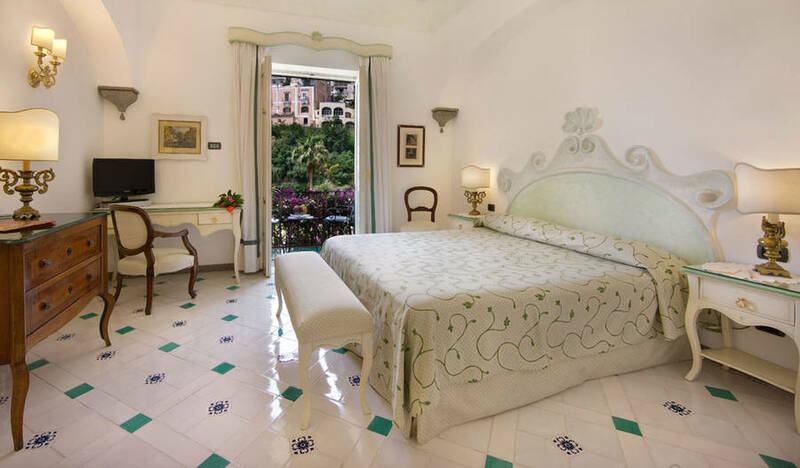 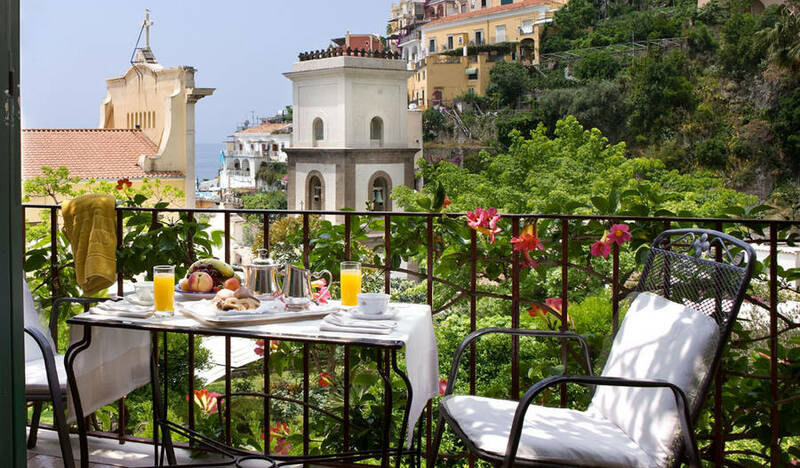 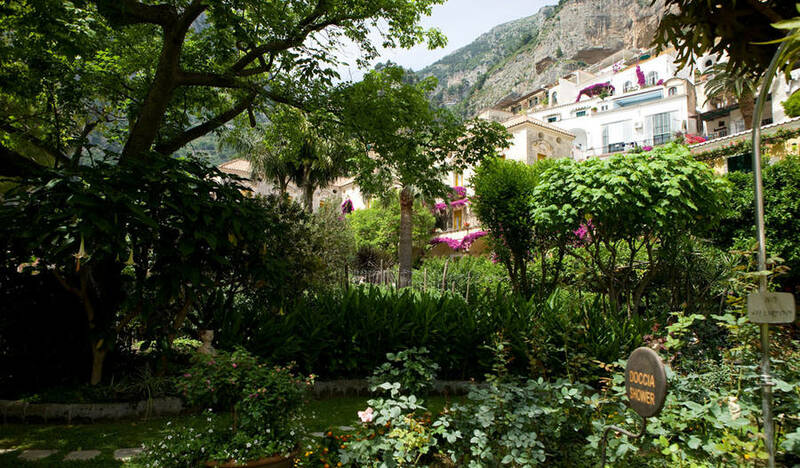 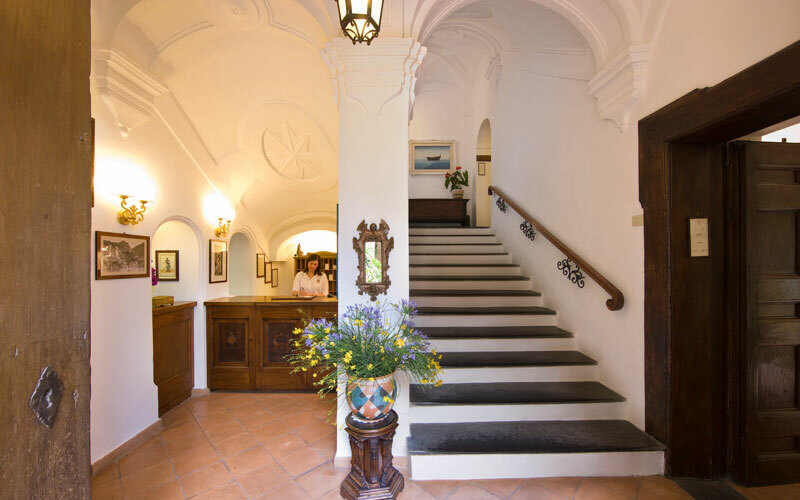 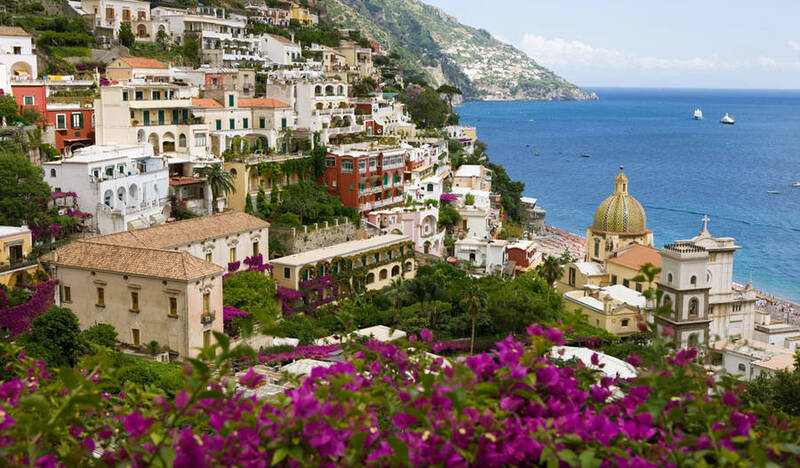 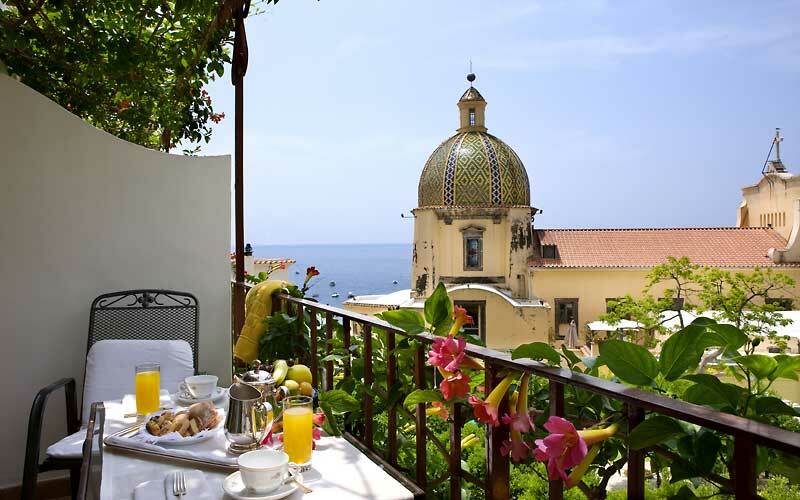 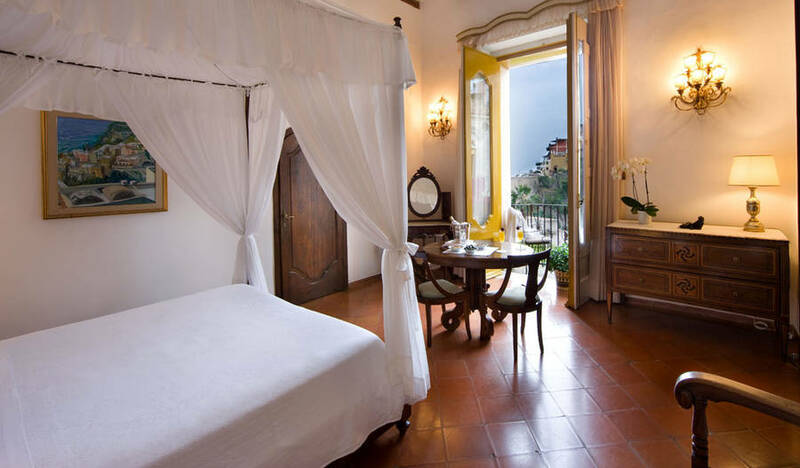 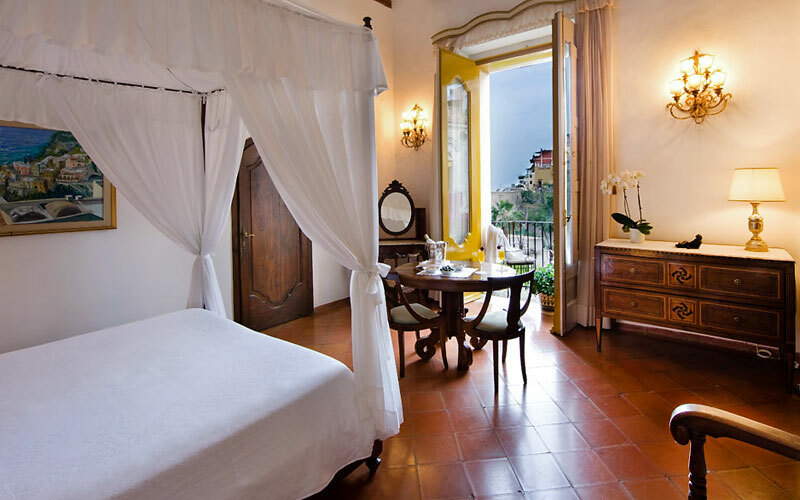 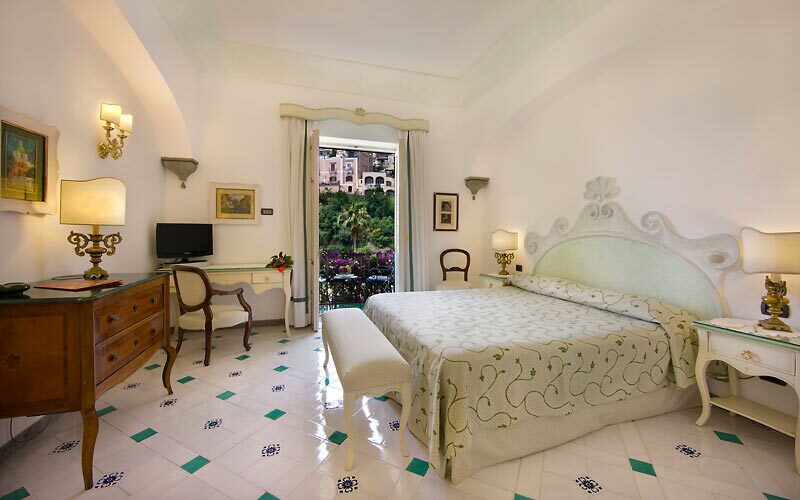 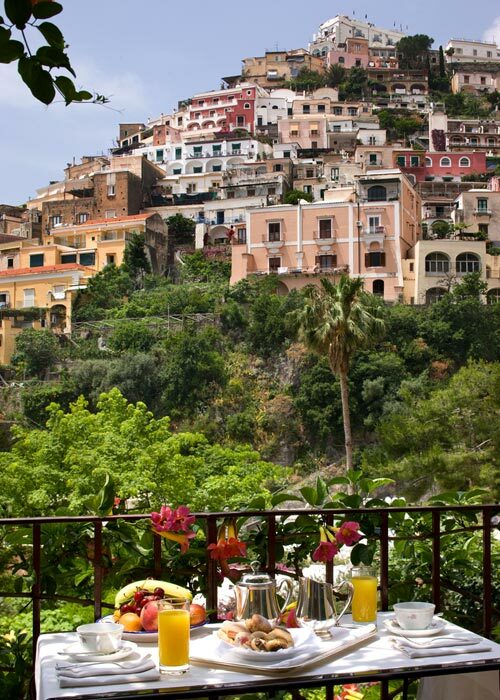 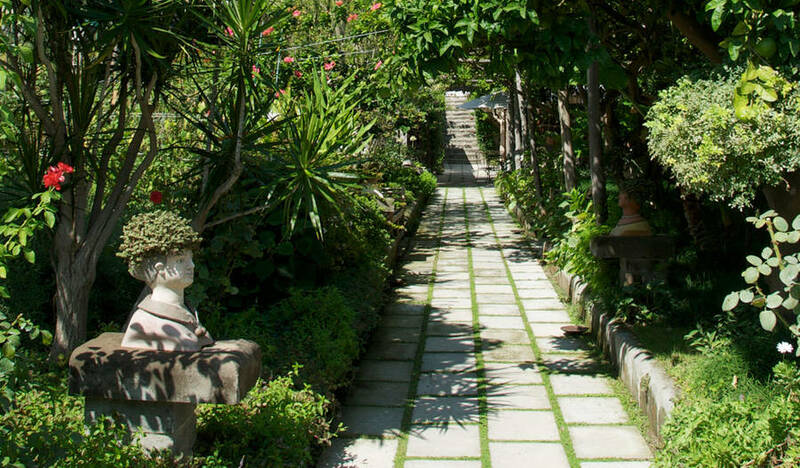 To experience the charm of this historic hotel you'll need to search for the large door, squeezed between the town's characteristic little shops, which leads to an unexpected treasure: a splendid Mediterranean garden bang in the center of Positano. 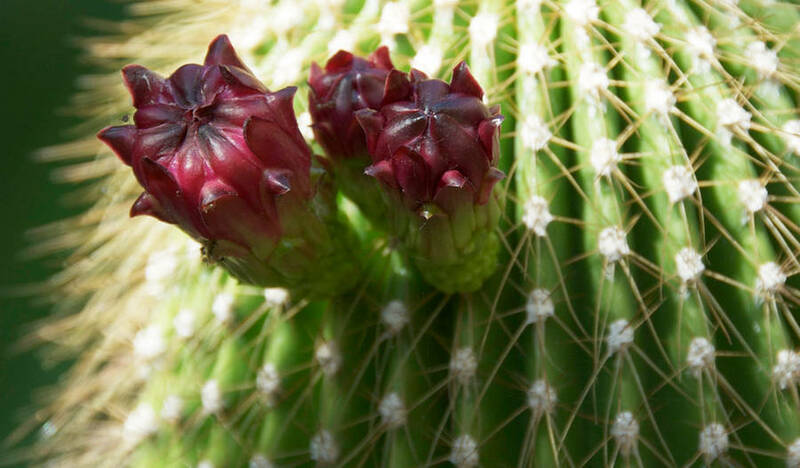 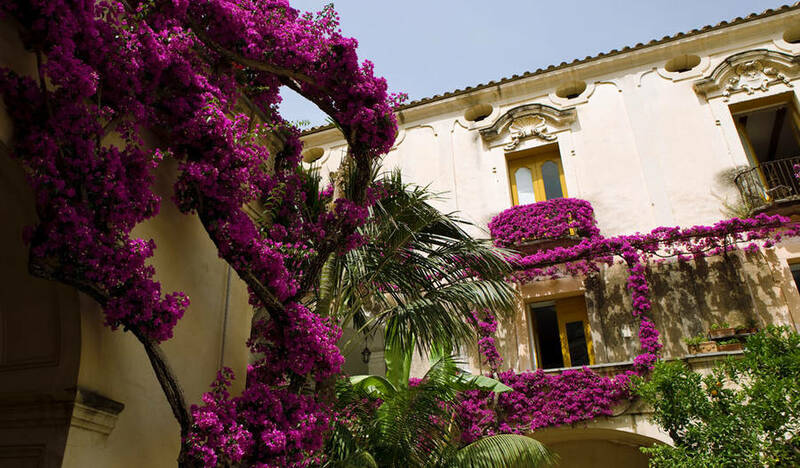 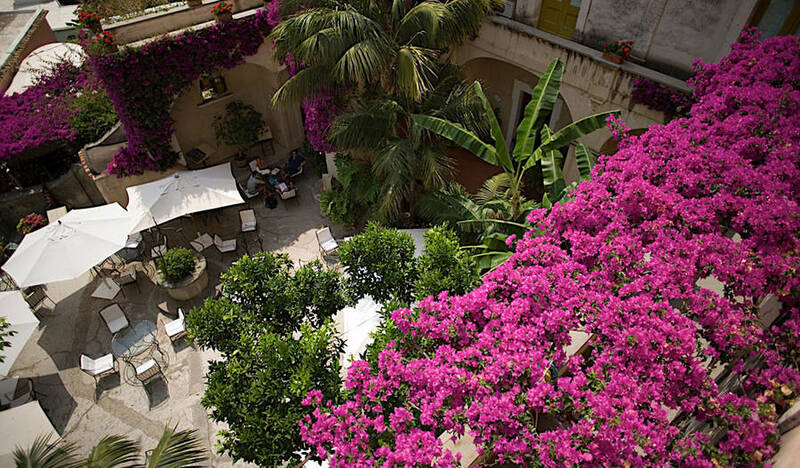 The garden both hides and protects Palazzo Murat, an 18th century patrician residence which once served as the sumptuous summer residence of Gioacchino Murat, Napoleon Bonaparte's brother-in-law and King of Naples. 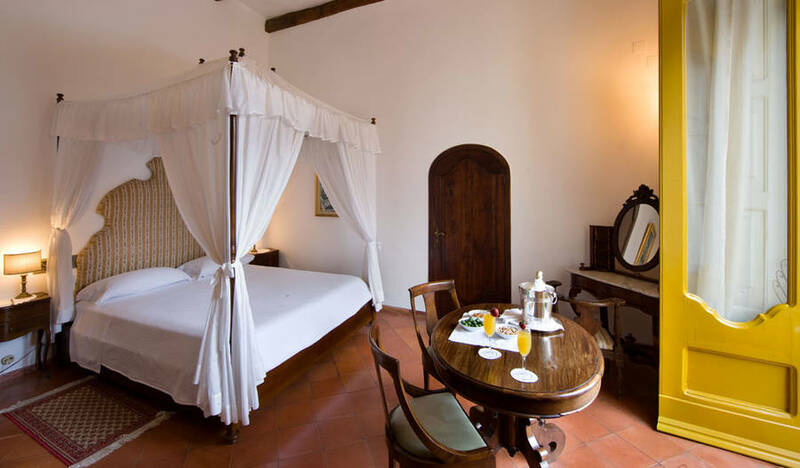 Over the years, the hotel's bedrooms, which are furnished with magnificent four-poster beds and antiques, have accommodated renowned artists such as John Steinbeck, Escher and Rudolph Nurejev. 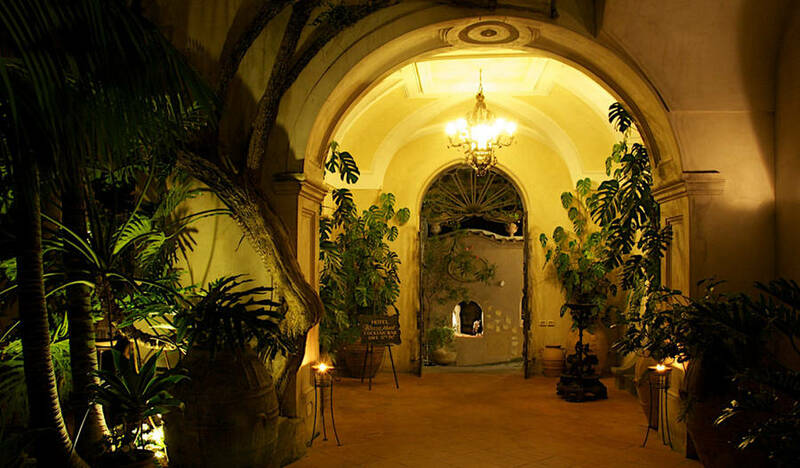 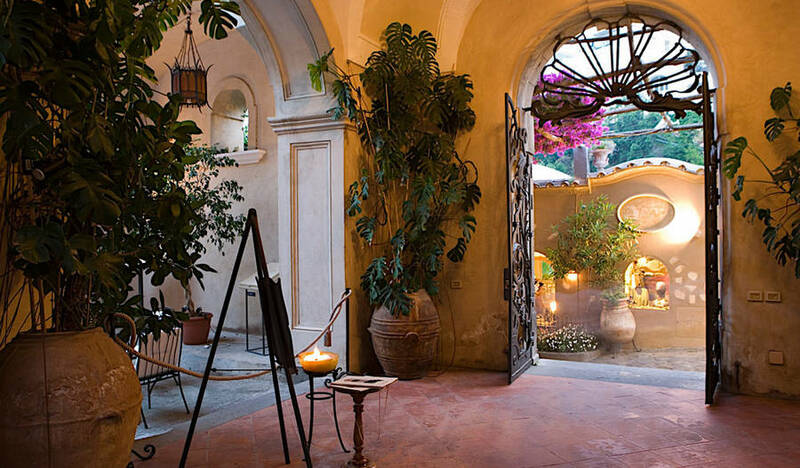 It is in the evening that the spell cast by Palazzo Murat is at its most bewitching. 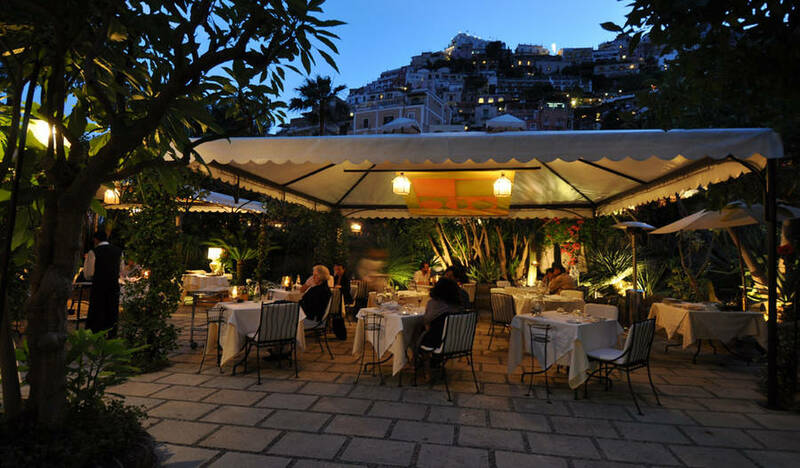 The magic begins with an aperitif served in the courtyard, as the sun sets behind Positano's 'pyramid' of houses, its light reflecting in the majolica-tiled dome of the mother church. 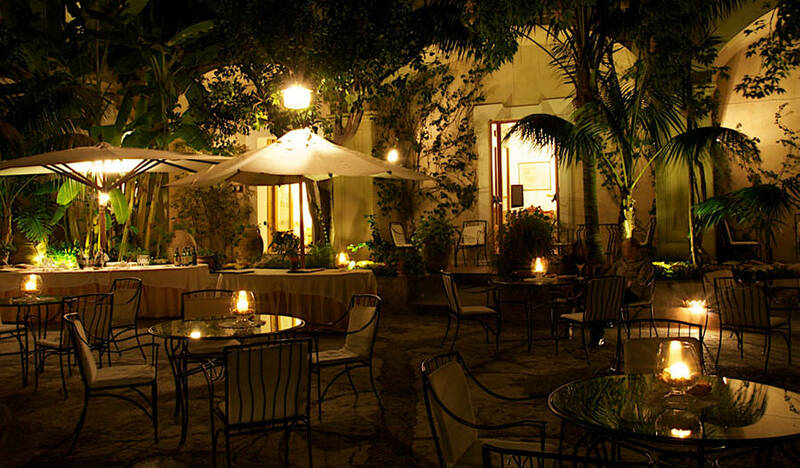 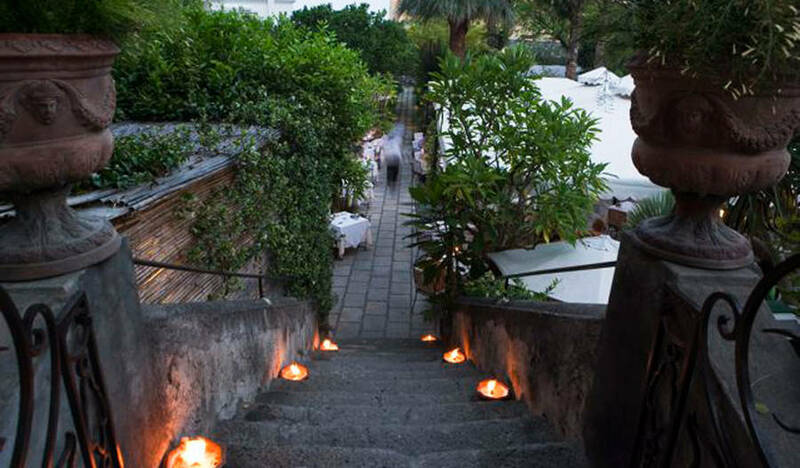 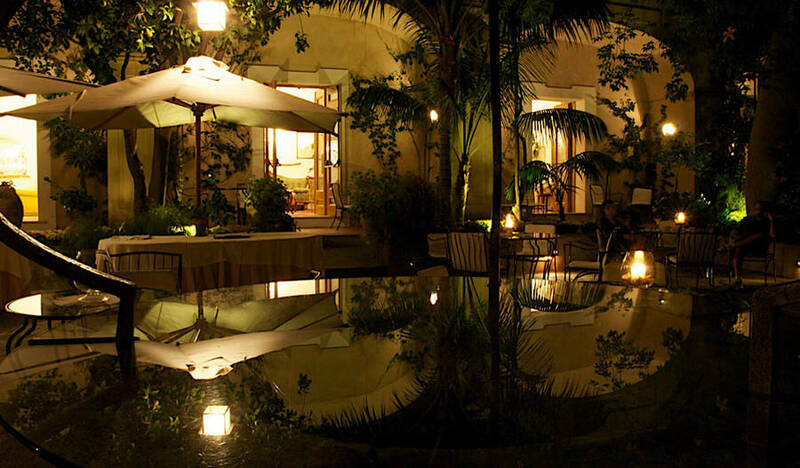 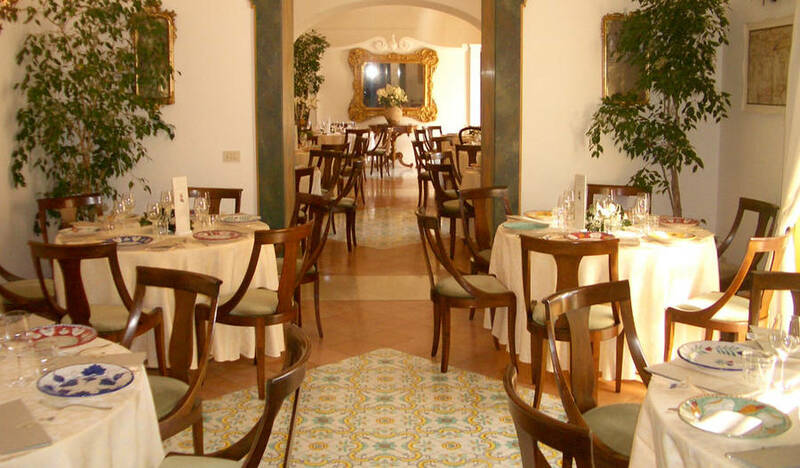 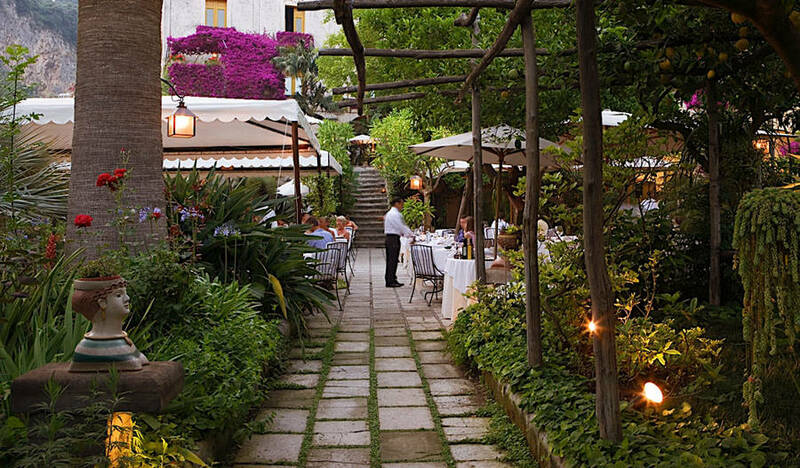 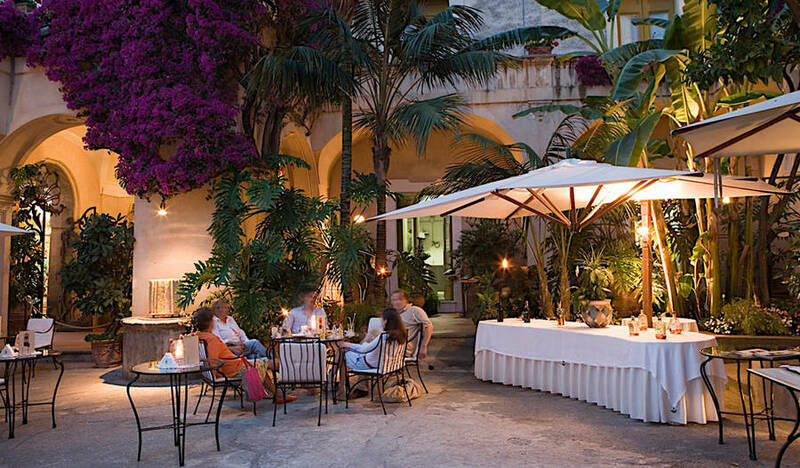 This is when the scents of the orange flowers mingle with the aromas of the Mediterranean delicacies being prepared in the kitchen of the hotel's 'Al Palazzo' restaurant, and a thousand candles are lit along the entranceway, around the restaurant tables, and throughout the garden. 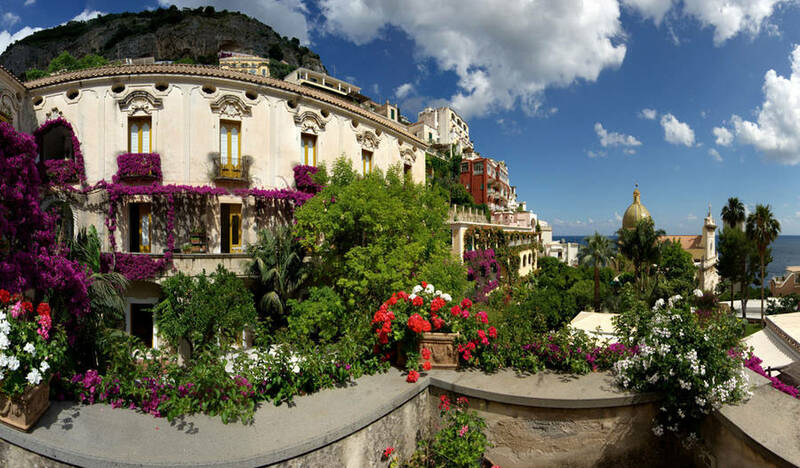 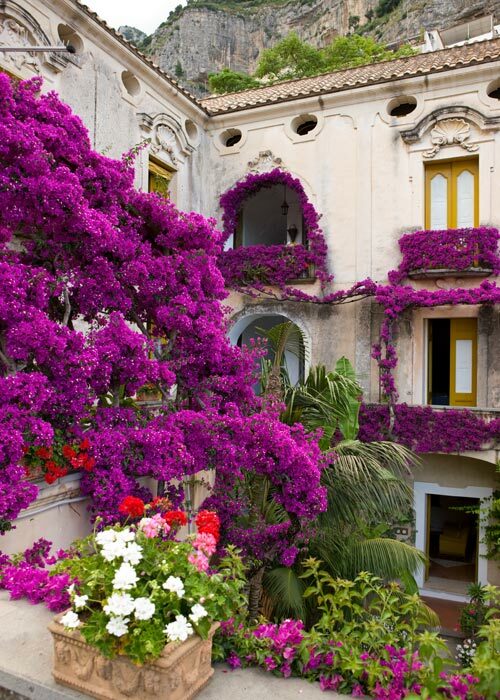 The unique colors, scents and flavors of the Amalfi Coast and the breathtaking views of Positano together make Palazzo Murat the ideal location for intimate weddings, vow renewals and private parties, which take place beneath a beautiful, flower-festooned pergola in a secluded area of the garden. 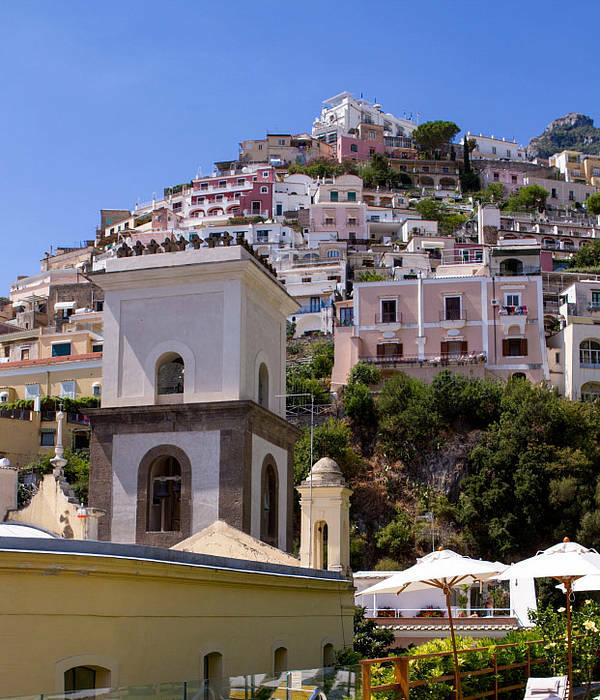 Just a few meters lie between the hotel and Positano's Spiaggia Grande, the beach from which, each morning, the hotel's traditional gozzo boat takes guests on an unforgettable voyage exploring the hidden coves and secluded beaches of this, one of the most beautiful stretches of the Italian coast. 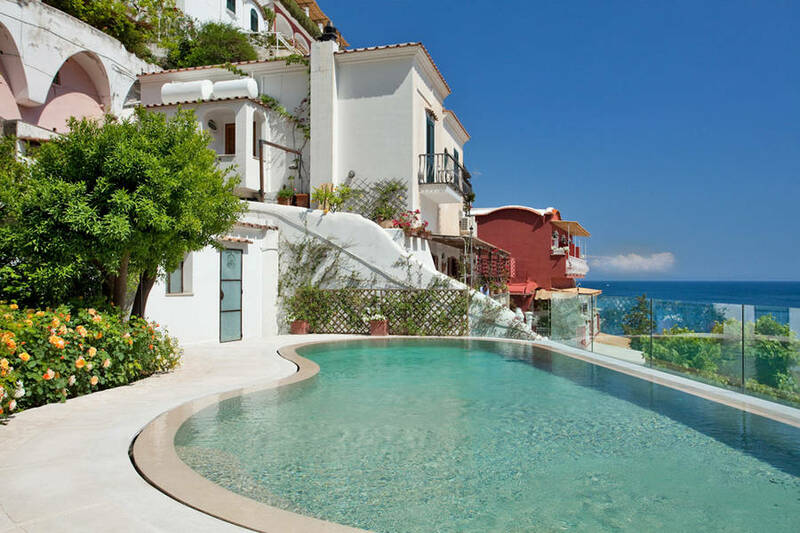 Don't want to go to the beach today? 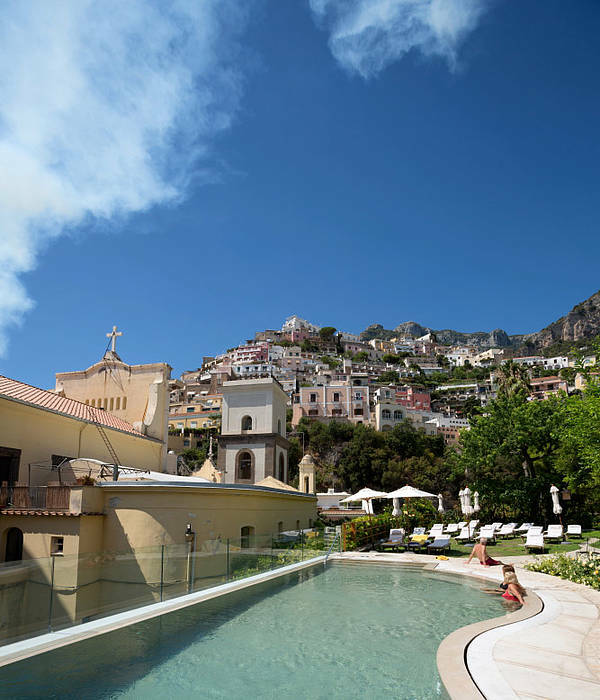 Take a dip in Palazzo Murat's new swimming pool in the garden instead!